A dynamic new collaboration is offering a limited release of boutique hotel apartments within the prestigious beachfront development, PACIFIC Bondi Beach. Allen Linz of Rebel Property Group and Eduard Litver of Capit.el Group have teamed with QT Residences to produce a collection of boutique hotel apartments at the 180 Campbell Parade address, with prices starting from $590,000. 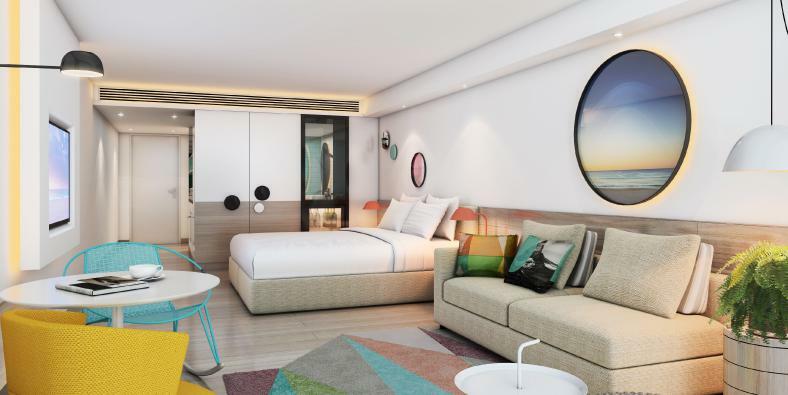 The hotel apartments will be managed by QT Hotels & Resorts, a subsidiary of ASX-listed Amalgamated Holdings Ltd (AHL). Each hotel apartment will have full access to the building’s amenities, concierge and valet service and will feature interiors and furnishings by leading designer, Nicholas Graham of g+a Interiors. Owners will also receive private use of the apartments for 28 days per year, with seven of those days allocated during high-season (December, January and Easter - subject to availability). Each apartment comes with a guaranteed gross return of 6% per annum for the first three years (statutory outgoings and strata levies, less an apportionment depending upon private use by owner). Designed by PTW Architects, PACIFIC Bondi Beach includes numerous luxurious features including a health club complete with gym and pool, a dining precinct, supermarket and retail.